LIGHT rail testing will begin along Northbourne Avenue and the Federal Highway today (Tuesday, January 22). Transport Minister Meegan Fitzharris says all elements of the light rail infrastructure and system are being tested, including the light rail vehicles (LRVs), the track, signalling and passenger information systems. 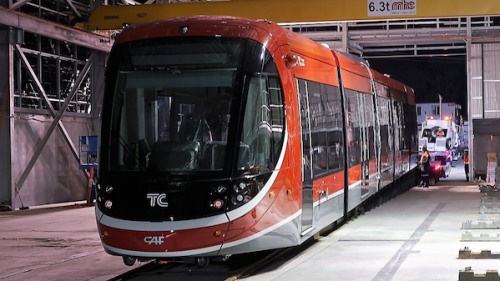 “The testing of LRVs along Northbourne Avenue and Federal Highway will give many more people the opportunity to see and experience LRVs travelling along the light rail track,” she says. “Whilst this is an exciting time, it is important for everyone in the community to stay safe around light rail. “Please cross the tracks only at intersections and designated crossings, look both ways before you cross the tracks and stay alert when walking and cycling around the light rail corridor – light rail vehicles are quiet and take longer to stop than other vehicles.